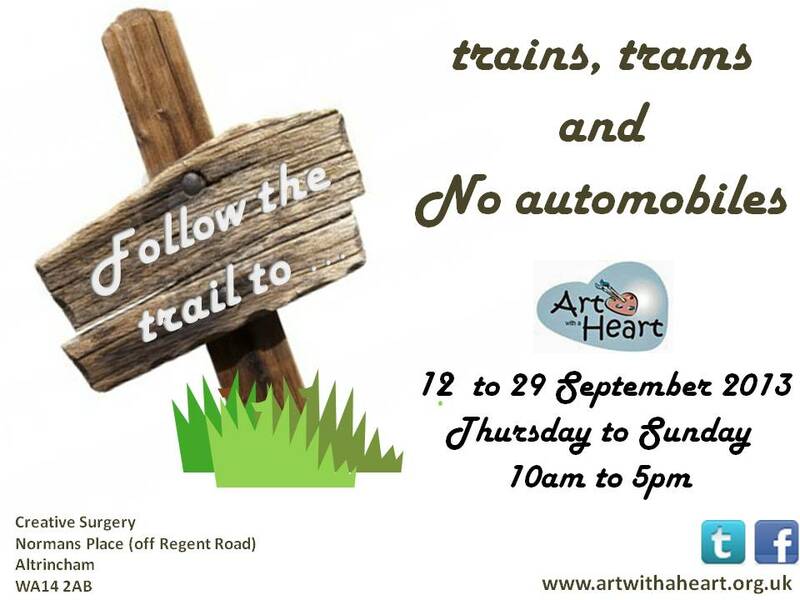 Opening on Thursday 12 September, 2013, Trains, trams and No automobiles is a Transportation themed exhibition with a difference. Challenging the perception that Art can only be appreciated in a traditional exhibition space, the exhibition is a result of a collaboration between a number of organisations including, the Mid Cheshire Line Partnership, Transport for Greater Manchester (TFGM) and the Stamford Quarter. An interesting selection of artwork reflecting the theme from a number of Artists, Art with a Heart will also be showing the YouTube video of the 4 minute train ride from Manchester Piccadilly to Chester. Partnering with The Stamford Quarter, Art with a Heart will be preparing New Look in preparation for the exhibition. 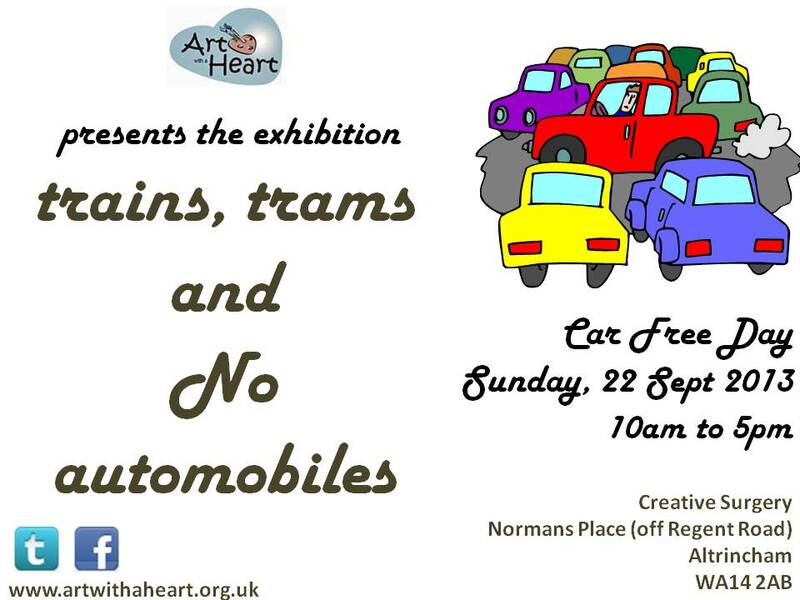 Sunday 22 September is Car Free Day so why not take the train, tram, bike or walk to Art with a Heart and other events organised in and around the Town Centre. 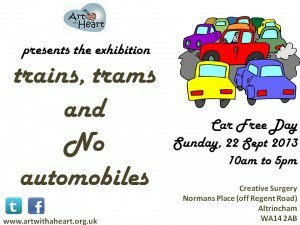 The full programme of events for the Car Free Day will be posted here, on partner websites and via Facebook soon, expect a carnival atmosphere with live entertainment, stalls, art demonstrations, workshops, face painting and refreshments.